They are all little cutie pies! They all came in as owner surrenders so this is quite the change of scenery compared to what they're used to. These babies can't wait to feel the love from their new forever families! Bella, Brina, Bindy, Brandy, and Billie are all about 10 lbs. Past deadline! may be released any time before or at 5pm needs a commitment before 5pm and picked up by 6:30pm thursday 2/1! 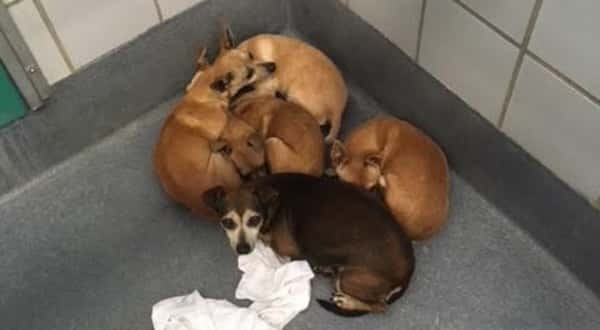 1 Response to "4 siblings surrendered to kill shelter, keep each other strong as they await uncertain future"